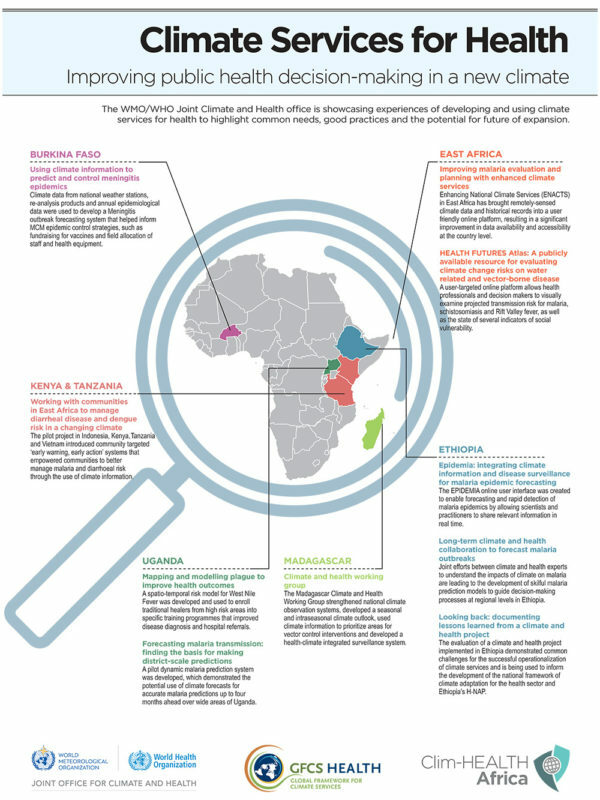 The WHO UNFCCC Climate and Health Country Profiles provide country-specific estimates of current and future climate hazards and the expected burden of climate change on human health, identify opportunities for health co-benefits from climate mitigation actions, and track current policy responses at national level. 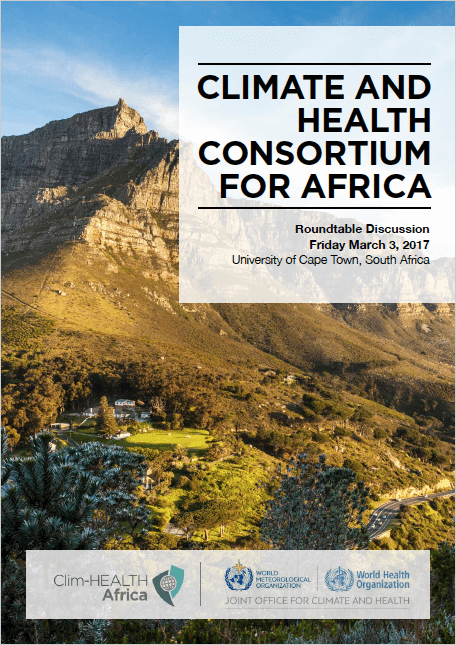 A document that shares the findings of the Situational Analysis and Needs Assessments that were taken in countries around Africa. 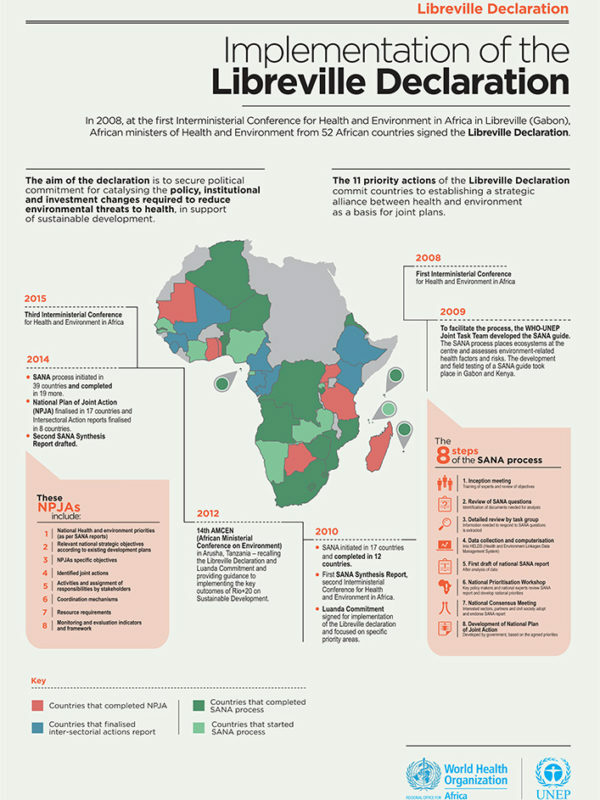 Information is shared with data visualisations and infographics, marking the World Health Organisation’s commitment to building awareness and involvement in the Libreville Declaraion on Health and Environment in Africa. 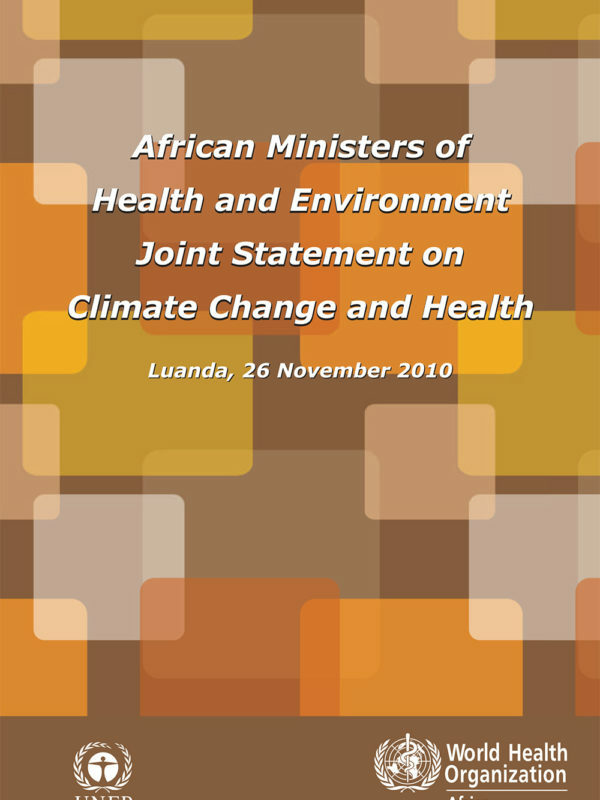 This is a joint statement from African Ministers of health and environment, emerging from the meeting in Luanda, Angola, from 25-26 June. 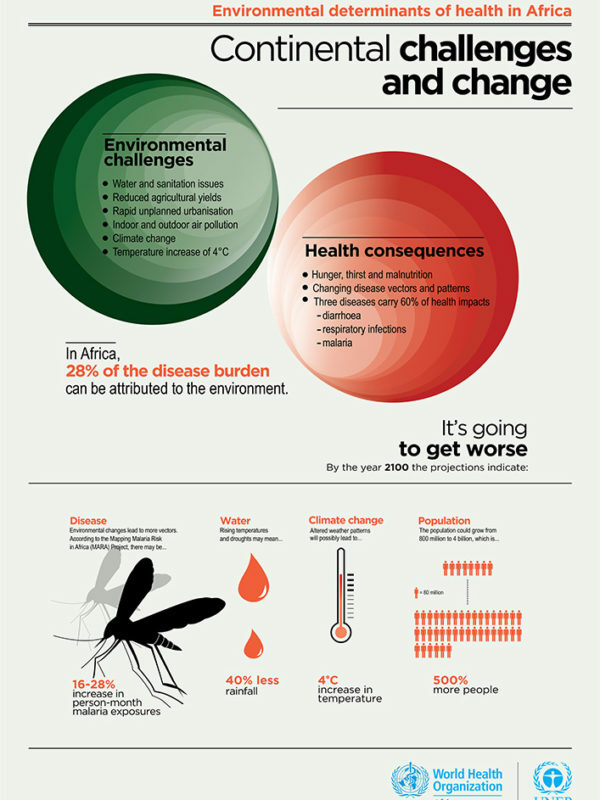 This Statement was presented at the 16th Session of the Conference of the Parties to UNFCCC in Cancun, Mexico, in December 2010. 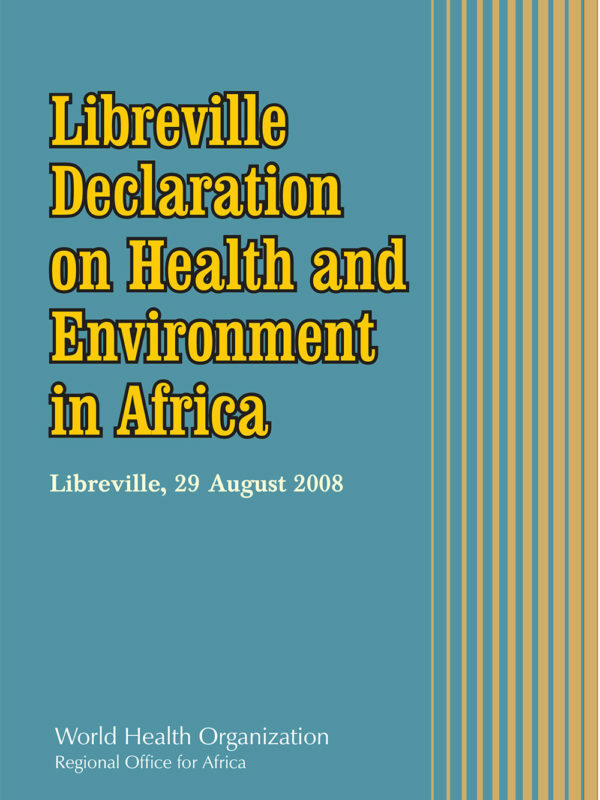 Through the Libreville Declaration, countries committed themselves to establishing a strategic alliance between health and environment as a basis for plans of joint action. 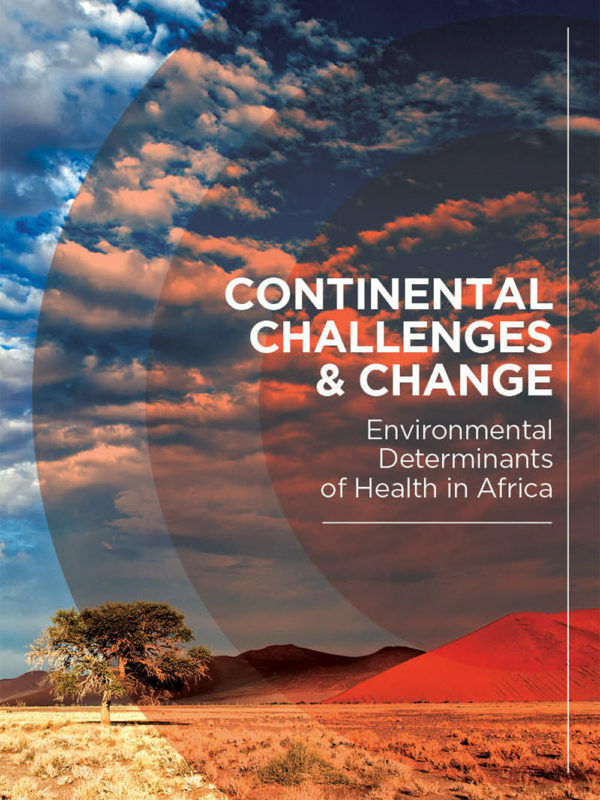 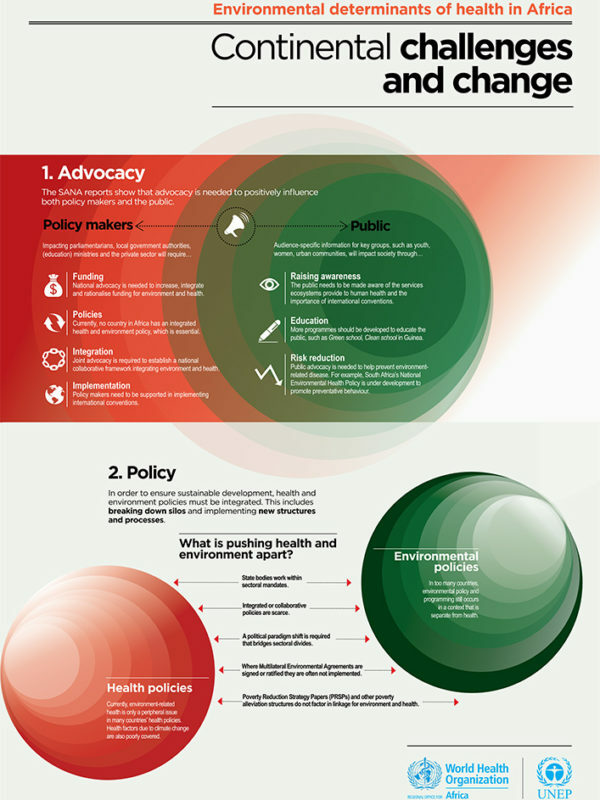 This synthesis report draws this together to provide, for the first time, an opportunity to examine an African continent‐wide assessment of the state of health and environment linkages in order to reach evidence‐based agreements on regional priorities. 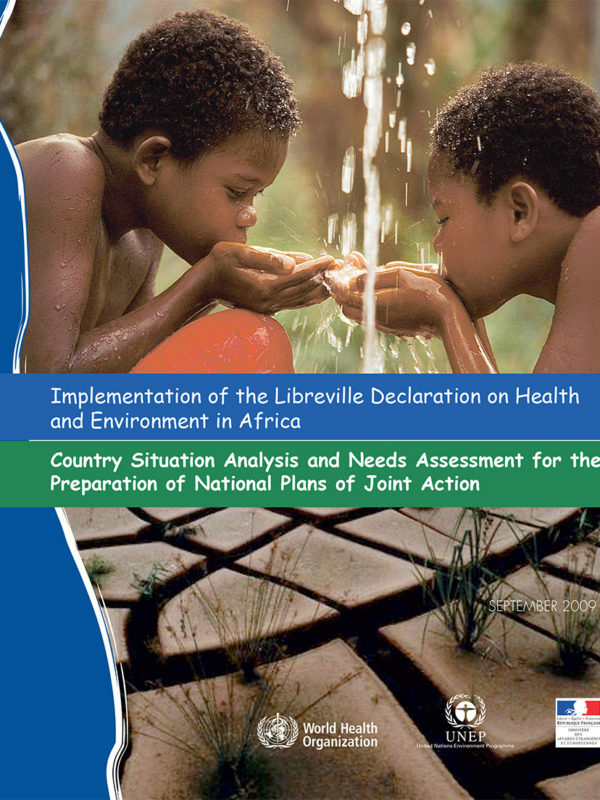 This guide has been developed in response to the need for tools to support the implementation of the Libreville Declaration in a harmonized manner. 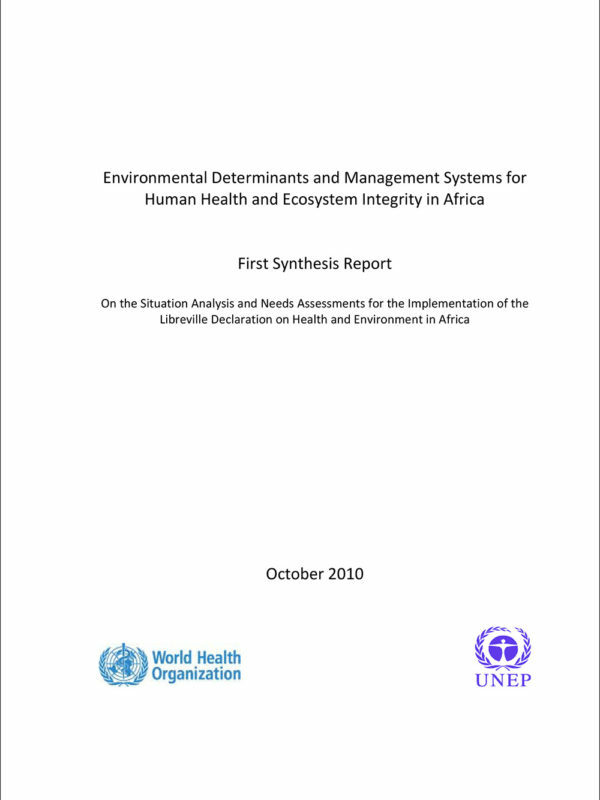 It outlines a global framework with a comprehensive and flexible approach, which permits individual countries to tailor the assessment to suit the existing stage of national situations and frameworks. 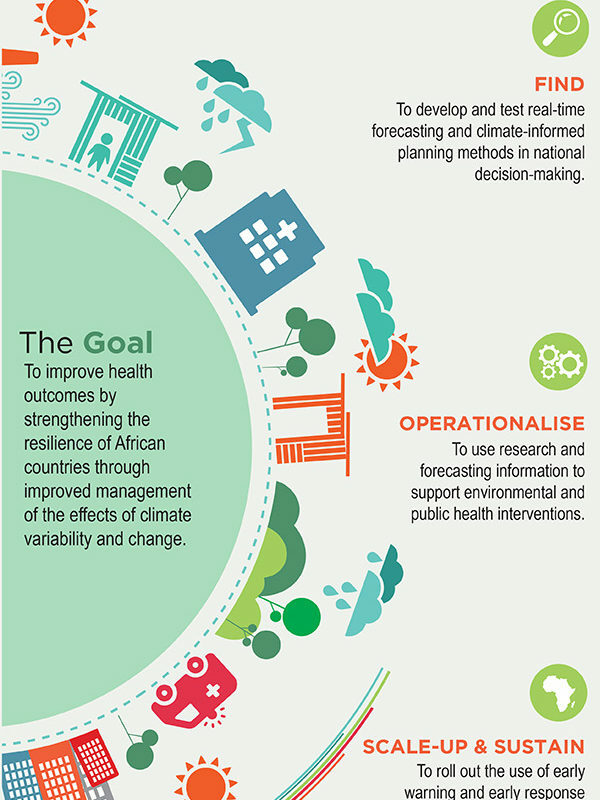 This is the signed declaration, committing African ministers for health and environment to a series of actions and principles. 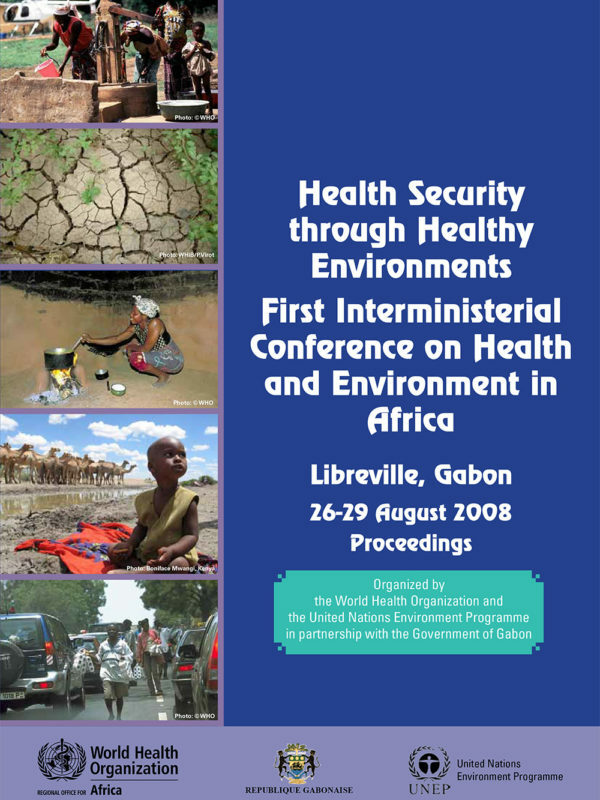 It follows the meeting, 28 to 29 August 2008 in Libreville, Gabon. 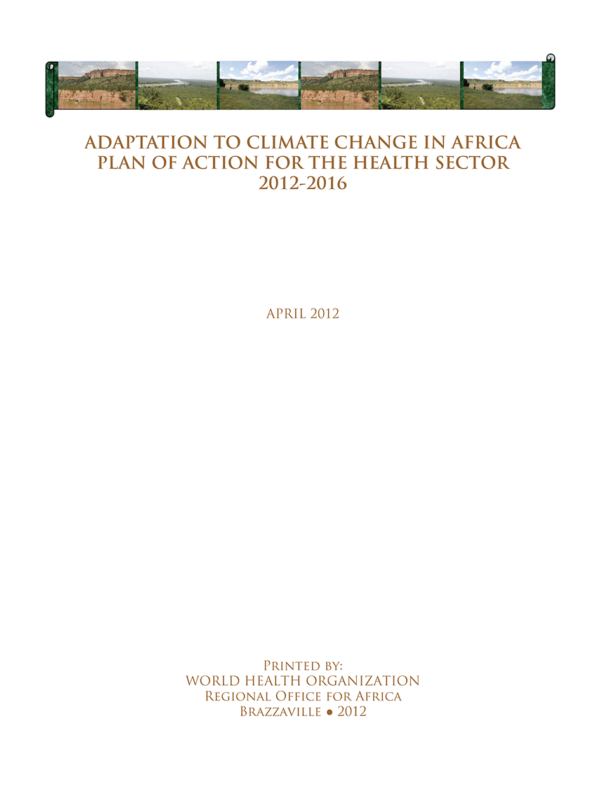 This is the report on the first Interministerial Conference on Health and Environment in Africa. 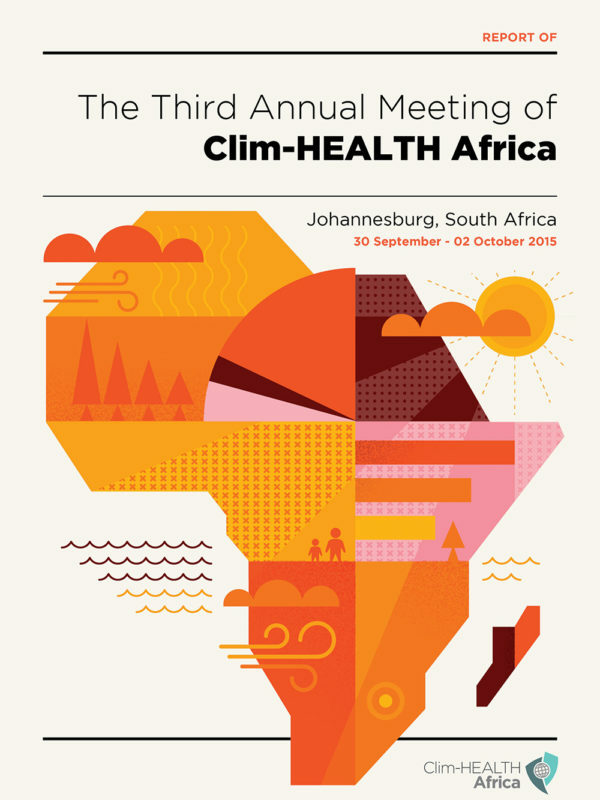 This landmark meeting aimed to secure political commitment for catalysing the policy and institutional and investment changes required to reduce environmental threats to health, in support of sustainable development. 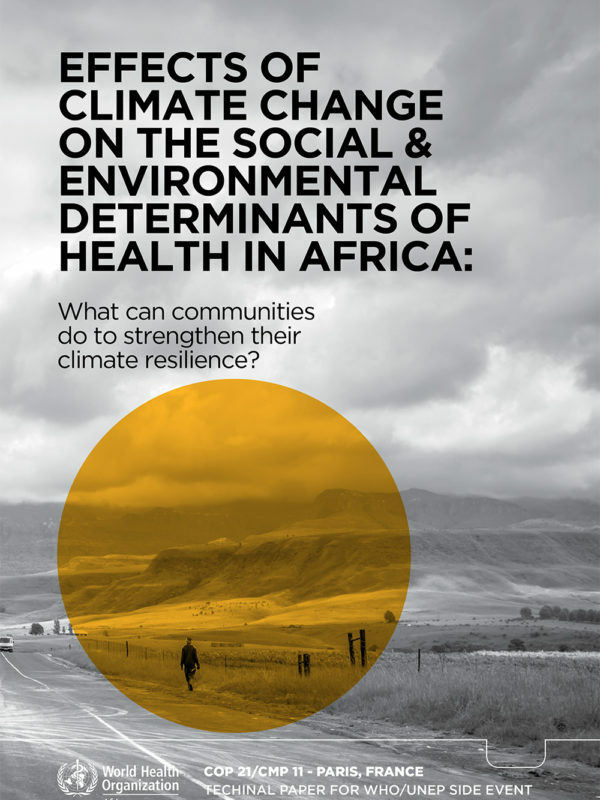 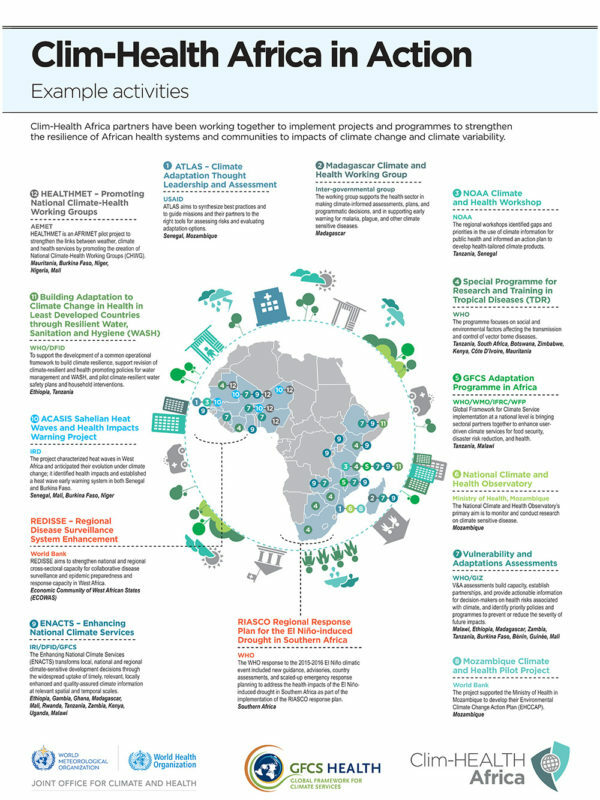 Clim-Health Africa partners have been working together to implement projects and programmes to strengthen the resilience of African health systems and communities to impacts of climate change and climate variability. 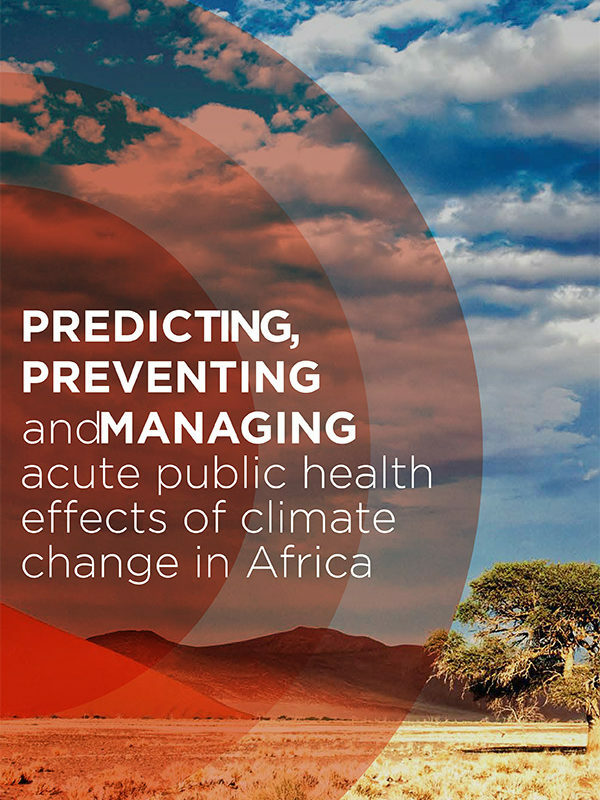 The WMO/WHO Joint Climate and Health office is showcasing experiences of developing and using climate services for health to highlight common needs, good practices and the potential for future of expansion. 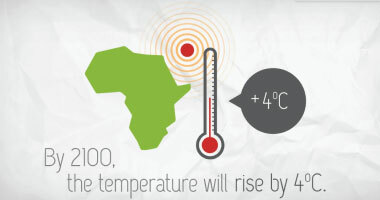 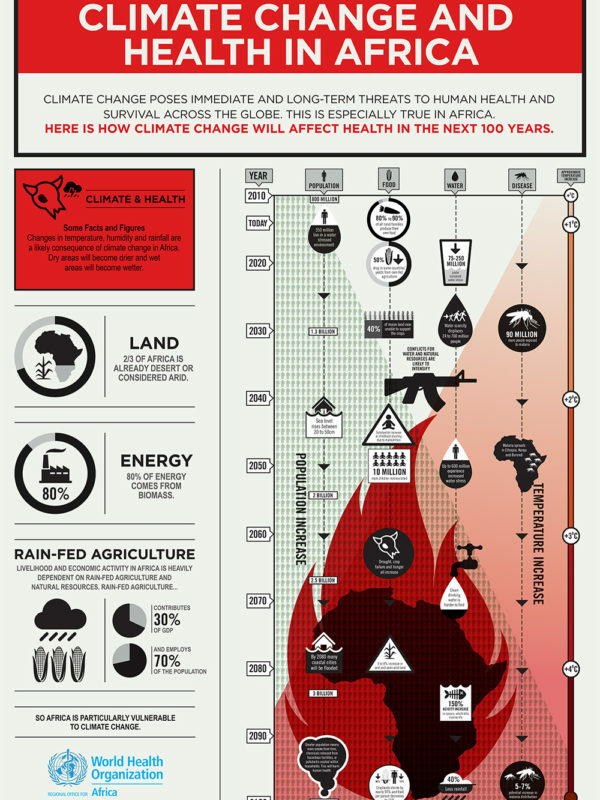 See how climate change will affect health in Africa over the next 100 years. 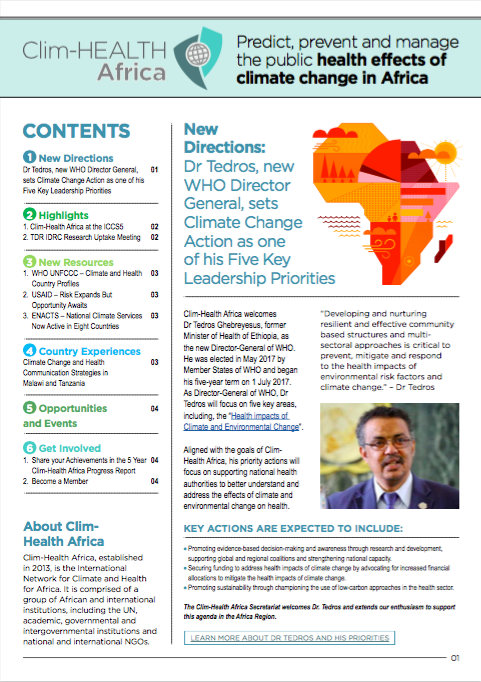 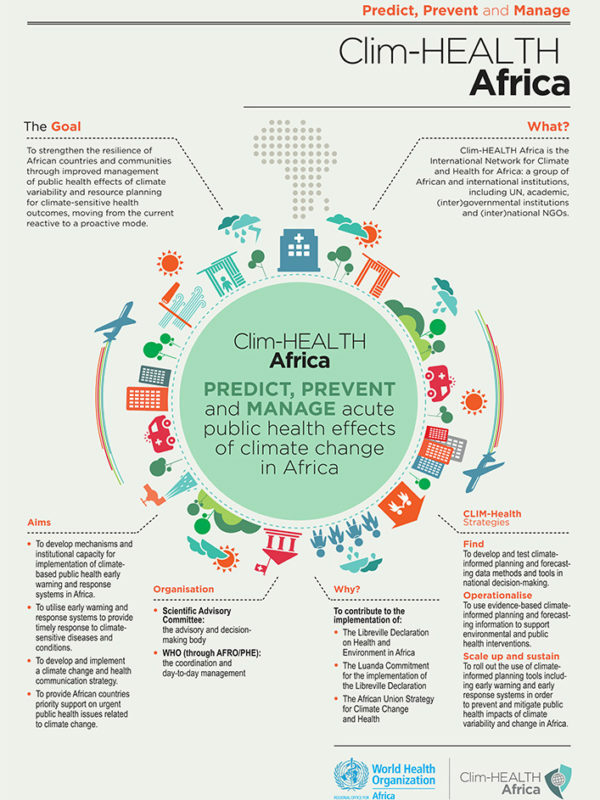 Learn more about Clim-HEALTH Africa. 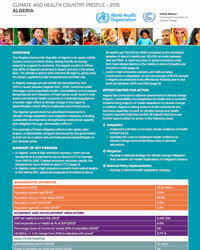 Learn more about the aim of the declaration and how it will be implemented. 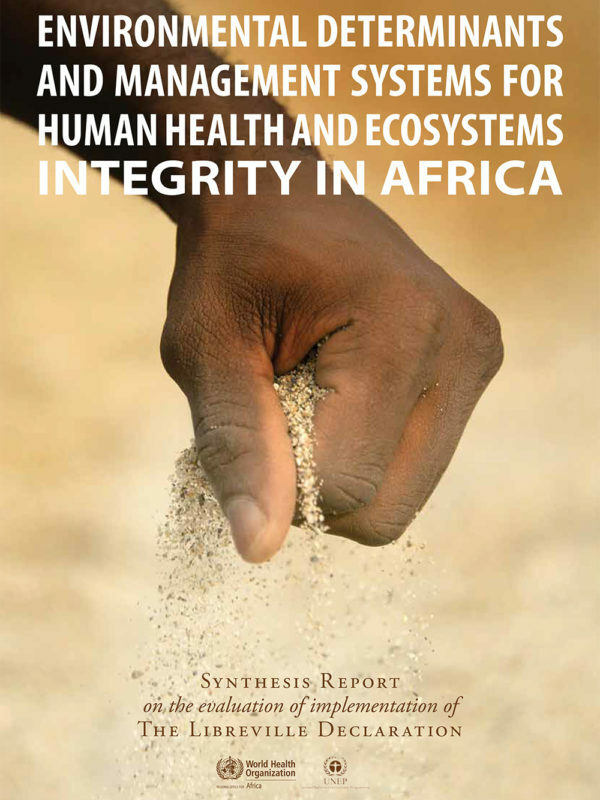 Learn about Africa’s health and environment-related challenges and what needs to be done. 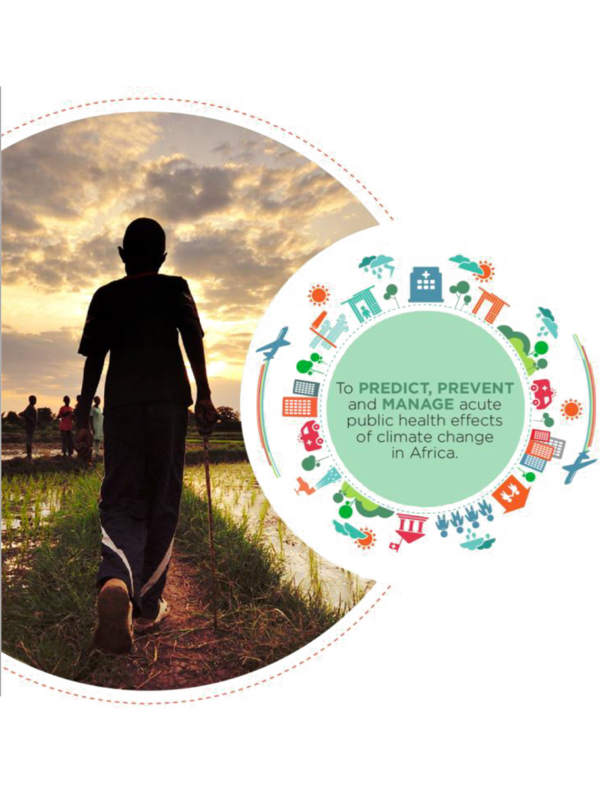 Learn how Africa’s health and environment-related challenges can be overcome. 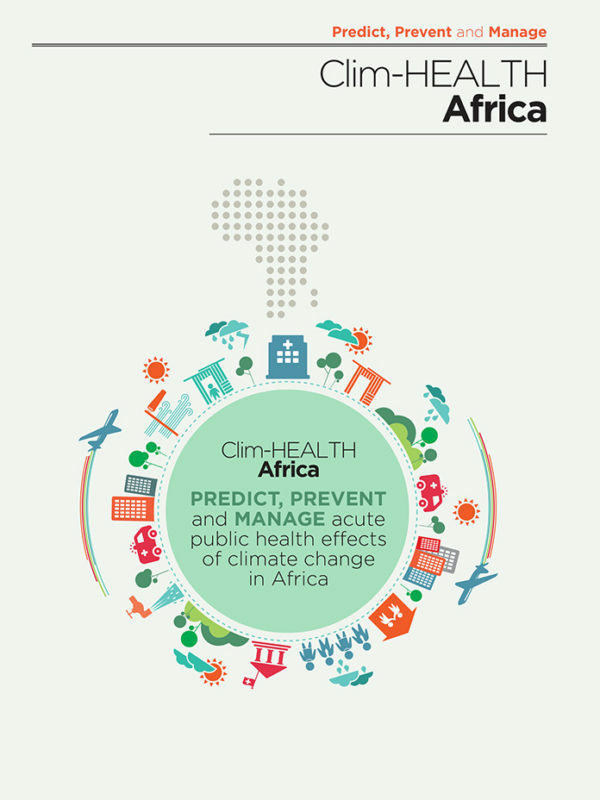 Find out more about climate change and health in Africa.